I was honestly, a bit hesitant about one of my all-time favorite books being turned into a graphic novel. 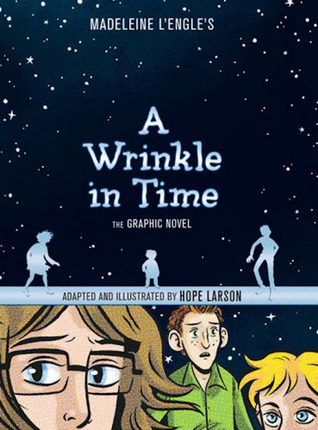 Sure I've grown to love many graphic novels, but how could one ever express the sheer magnitude and greatness of A Wrinkle in Time?! Suffice it to say that I was pleasantly surprised and captivated by this graphic novel. Sure it doesn't contain every detail of the book and leaves out parts I love, but overall it tells the story commendably. The blue and black art work is exquisite and portrays the scenes and characters well. I hope that this GN will interest a new generation in this classic science fiction book and series.